Five OEMs in Ontario employed 37,127 people in their manufacturing operations in 2016. 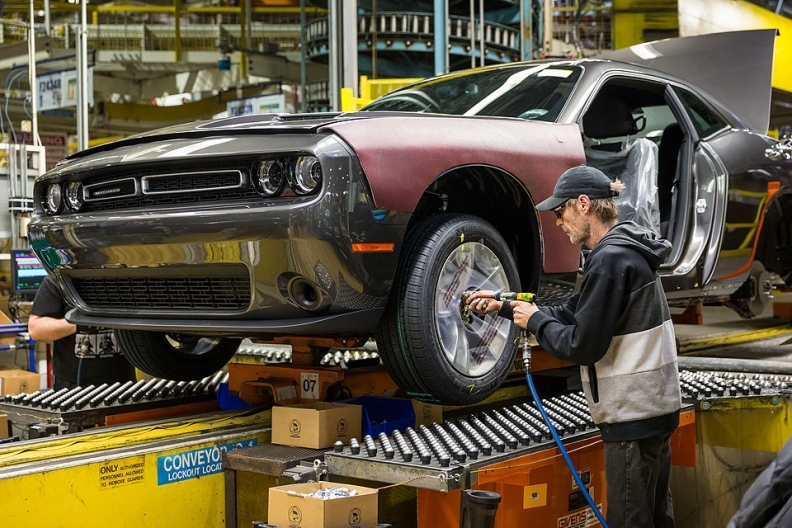 The Canadian automotive industry employs more people — by about 15,000 — than Statistics Canada suggests, says a study out of McMaster University in Hamilton, Ont. The Automotive Policy Research Centre there says it has identified more than 200 automotive parts manufacturing establishments that Statistics Canada categorizes as something other than motor vehicle parts manufacturing or motor vehicle plastic parts manufacturing. The report’s author, Brendan Sweeney, analyzed thousands of public government filings for hundreds of business over the last two years and says the data paints a more accurate picture of the Canadian auto industry. Statistics Canada data says the automotive manufacturing industry employed 125,395 people in 2016. But APRC data says that number should be 140,404, a 12 per cent difference because, the APRC says, many known automotive parts suppliers are categorized by StatsCan as foundries or manufacturers of rubber or glass products. Sweeney said there’s “nothing nefarious” about how manufacturers report data to Statistics Canada and how, in turn, the agency reports it to the public. The employment data is only part of the Canadian automotive industry profile the APRC is set to be released today. Automotive News Canada was given an advance summary of what will be in the final draft. The report will focus on recent trends in vehicle production, employment by OEMs, employment by independent automotive parts, components, and value-added services firms, and the composition and geography of the industry in southern Ontario. Further up the chain, five OEMs in Ontario employed 37,127 people in their manufacturing operations in 2016. Two assembly plants – Ford Oakville and Toyota Cambridge – employed more than 5,000 people. Meanwhile, FCA’s Windsor plant is Canada’s largest manufacturing workplace and employs more than 6,000 people. Those three biggest auto facilities in Ontario are among the six largest manufacturing and resource-extraction workplaces by number of reported employees in Canada. ArcelorMittal Dofasco’s Hamilton plant and Syncrude and Suncor’s Fort McMurray facilities are the other three. “This illustrates the economic importance of the [automotive] industry,” the report reads. Automotive Parts Manufacturers Association President Flavio Volpe said he’s glad somebody finally crunched the numbers. Volpe and Sweeney said the numbers could be useful to governments. It could be “good in the context of skeptical governments,” Volpe said. But it may very well be that the priority the policy makers place on the industry already reflects the larger APRC number, Sweeney said. Volpe said the information can also help land foreign investment. Average annual vehicle production in Canada was slightly below 2.4 million units between 2012 and 2016. OEMs built nearly 2.3 million vehicles in Canada in 2016 and although vehicle production fell below 2.3 million in 2015, it was primarily the result of retooling at FCA’s Windsor, Ont., assembly plant, which took place over several months following the renewal of the plant’s production of the Chrysler Pacifica minivan. The study found that employment in both the vehicle assembly and automotive parts manufacturing industries increased in every year between 2012 and 2016. “The period between 2012 and 2016 has been one of relative stability in Canada’s automotive industry, despite a small decrease in vehicle production,” the report reads. While production has decreased slightly, employment has risen a bit. Vehicles have more options, more electronics and more cameras, for example. So, more workers are needed on the factory floor. “We may not be making those electronics here in Canada, but even at the assembly you might need more inspection or more electricians,” Sweeney said.